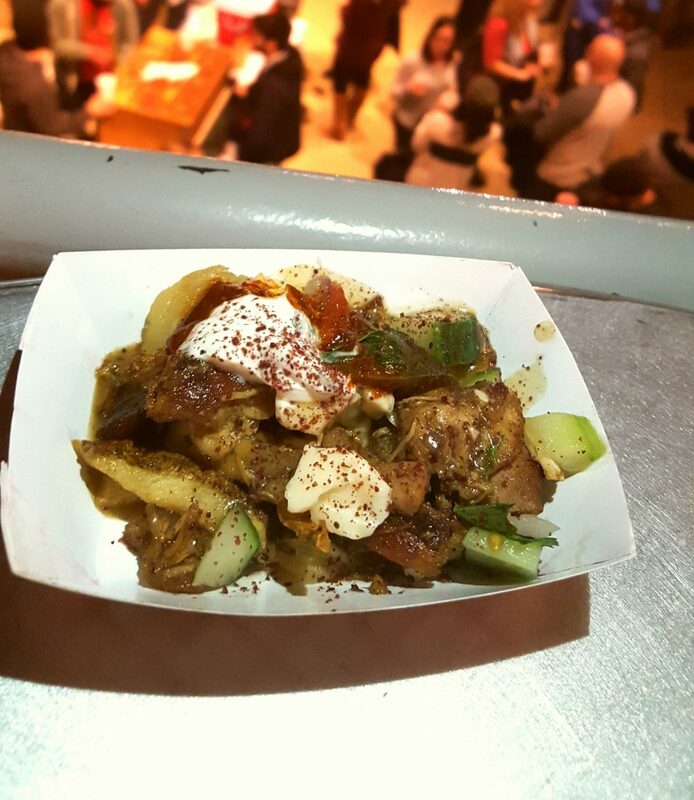 Surprising and delicious takes on the traditional dish competed for the top prize. 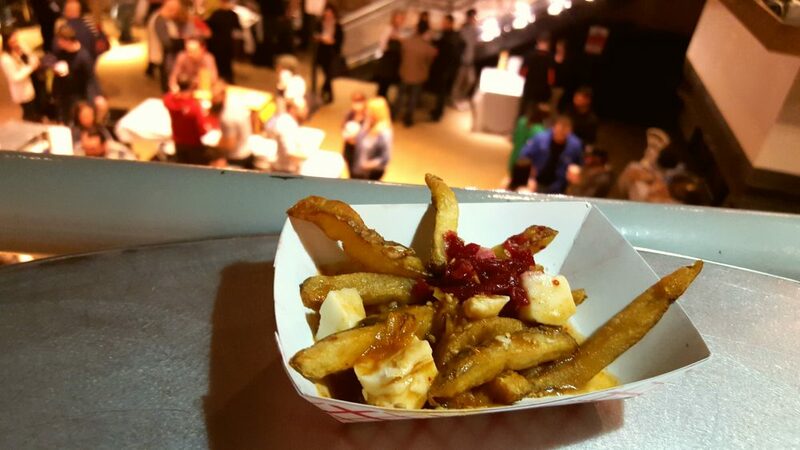 Crispy, golden fries, smothered in rich gravy, topped with chewy, savory cheese curds. 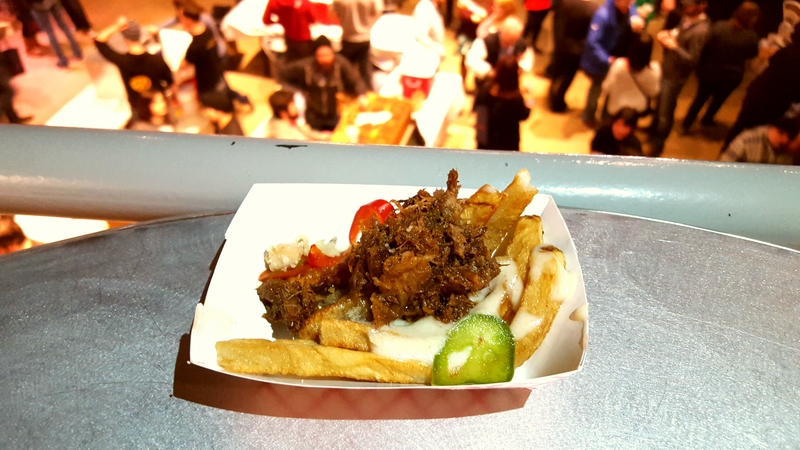 Mindy's HotChocolate won over the judges with their duck heart poutine. The Judges' Choice top prize went to Mindy's HotChocolate, who delivered a hearty, flavorful poutine with duck heart, taleggio, and gruyere. Farm Bar and mfk. were the 1st and 2nd runners up, turning in a strong showing. 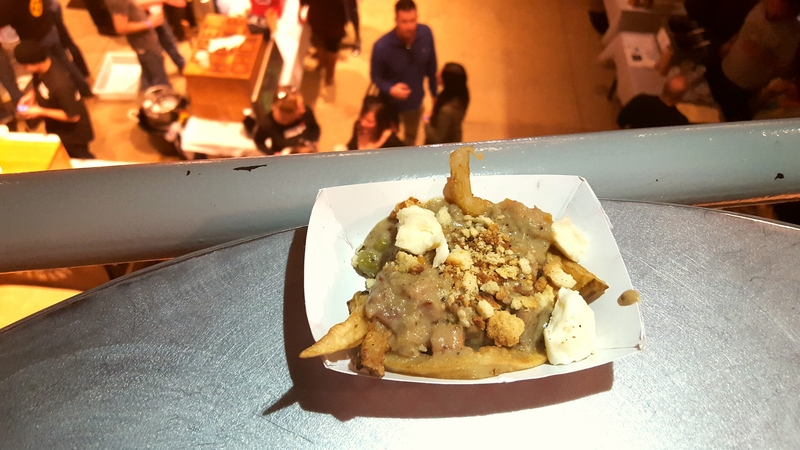 Farm Bar presented a tasty poutine with goat sausage, white cheddar, and rosemary gravy. Crispy lardo croutons on mfk. 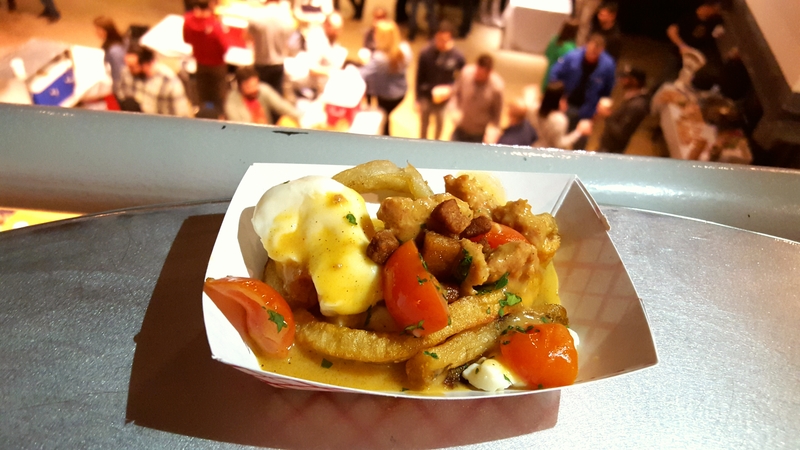 's poutine gave some bite to their dish, which featured linguica gravy. 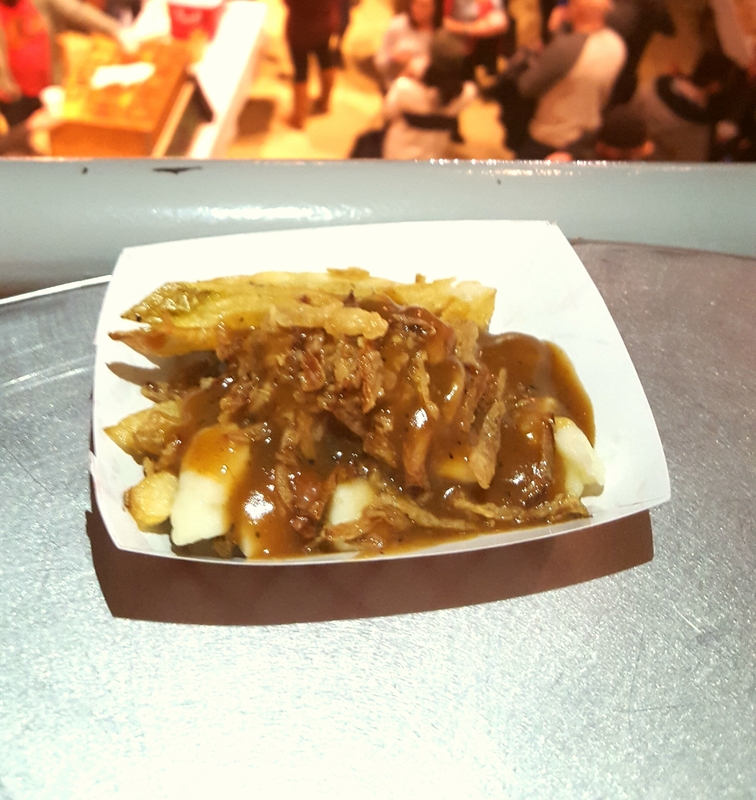 The People's Choice honor went to Q-Tine, displaying their prowess with their classic BBQ pork poutine. Runners up for the vote were Mindy's HotChocolate and Revolution Brewing. 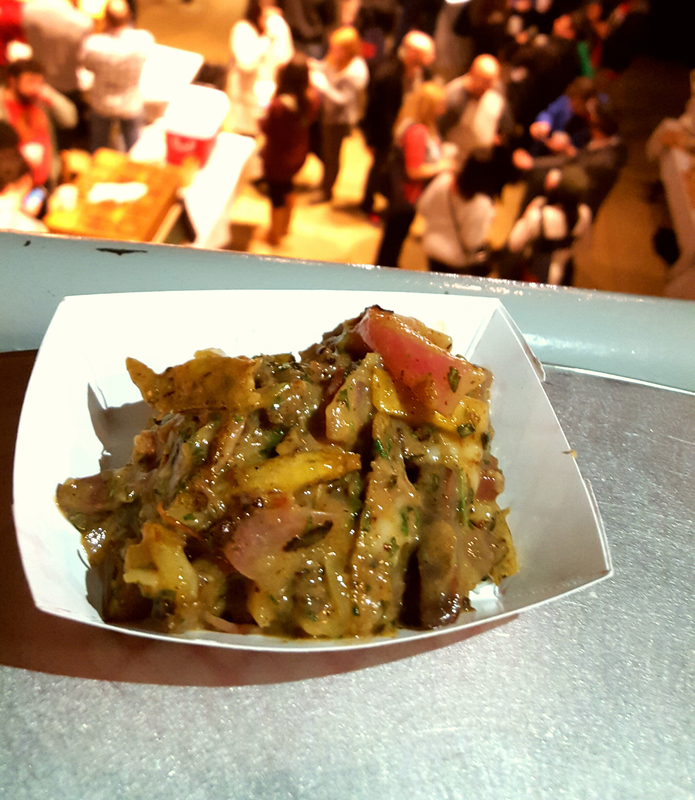 Q-Tine knows their stuff as their BBQ pork poutine with crispy onions won over the crowd. Revolution spiced things up with jalapeno gravy, braised short rub, and pickled fresno peppers. Check out some of the other participants, and try not to let your stomach growling distract your co-workers. 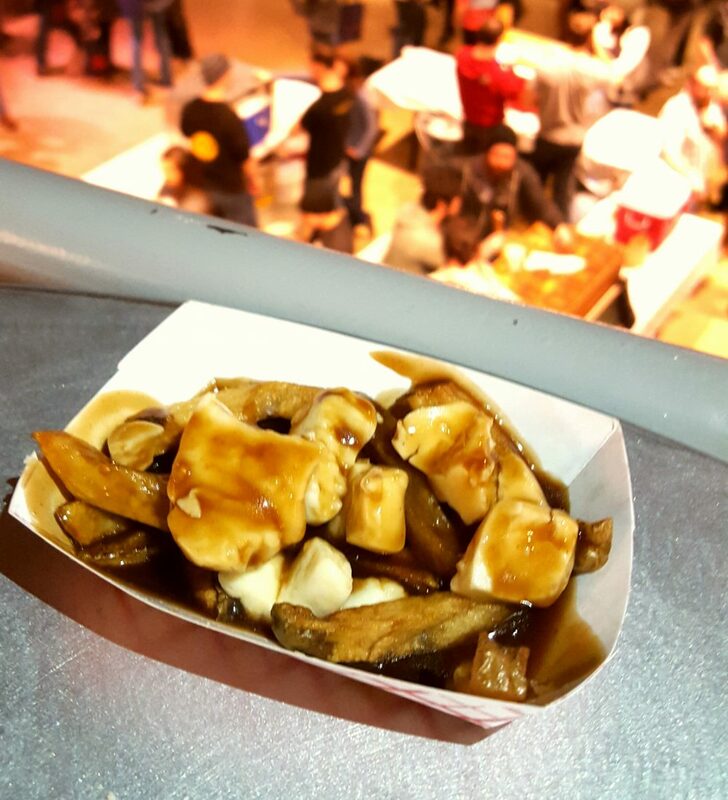 Donermen delivered up their food truck kebab as a flavorful poutine. Beer kimchi gravy added some spice to Kimski's version. Sometimes nothing beats a classic, and Paddy O'Fegan's served up just that. 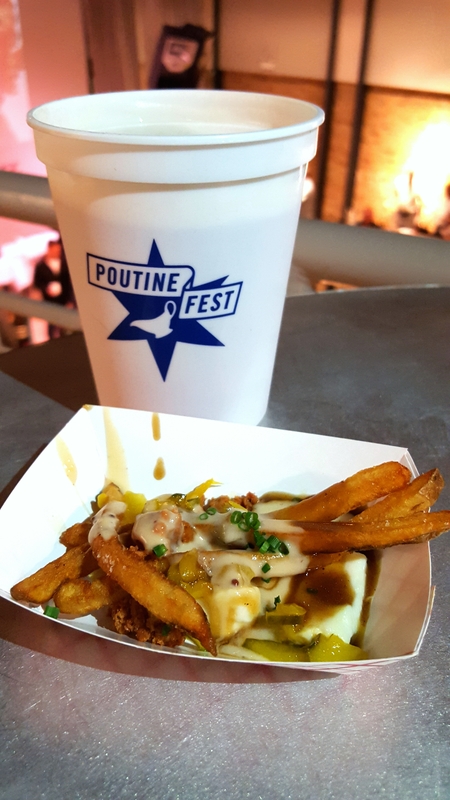 Son of a Butcher turned poutine into a comforting pot pie with tender braised pork cheek.